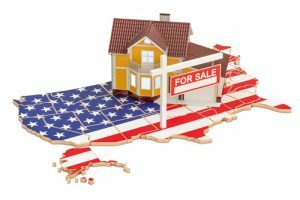 According to the latest data from the Federal Reserve Bank of New York, consumer home price change expectations remain at their lowest level. The March 2019 Survey of Consumer Expectations reveals that the median home price change expectations remained steady at 3.0 percent for the fourth consecutive month. The report also indicates consumer access to credit has increased, and consumers expect this increase to continue. The survey reveals that 19.2 percent of consumers, up from 19 percent month over month, though the average perceived probability of missing a minimum debt payment over the next three months increased 0.7 percentage points to 11.6 percent. The Survey notes that this is still below the 12-month trailing average of 12.0 percent. Despite the flat outlook from consumers, lenders optimism has gone up, according to the Q1 2019 Mortgage Lender Sentiment Survey from Fannie Mae. "Lenders appear less pessimistic regarding mortgage demand expectations; thus their profit margin outlook over the next three months is also slightly improved," said Doug Duncan, SVP and Chief Economist at Fannie Mae. "While the results seem to portray the gloomiest picture of purchase mortgage demand during the prior three months in the survey's five-year history, the net share of lenders expecting rising demand over the next three months exceeded the level recorded in the same quarter last year. Lenders' view of the refinance market was somewhat rosier, as both recent and expected demand improved to the best showing in two years, helping to support lenders' improved profit margin outlook."